I'm still playing with ideas from the "Echo and Iris" book. 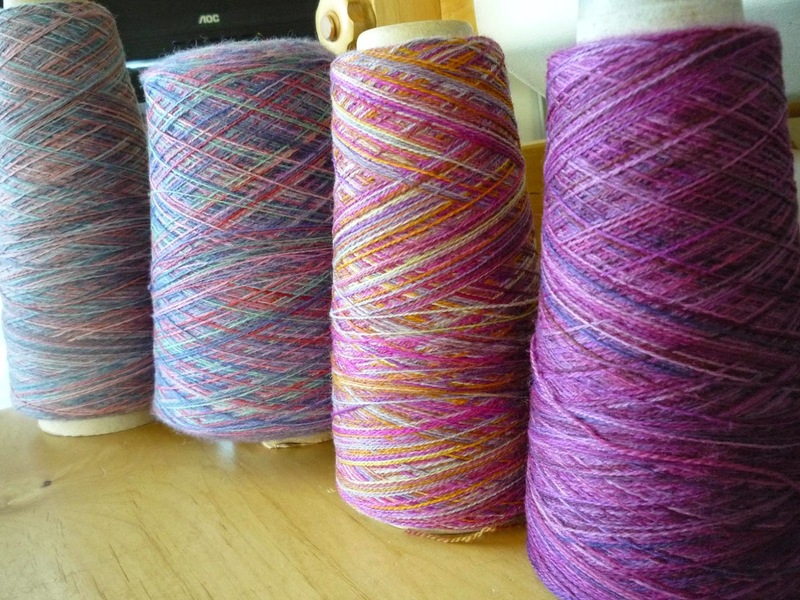 As you can see I pushed my luck (there wasn't much intelligence in this selection) to the limit with this selection of 4 threads for the warp, all variegated but I thought there was enough difference in value for them to work. Warp - 4 echoes double weave, 12 shaft networked twill with another 4 shafts for basket weave selvedges. 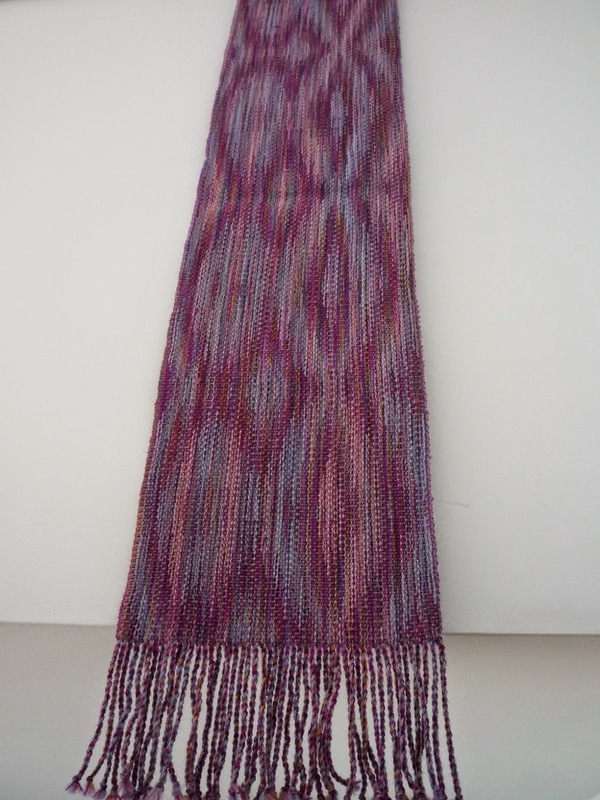 Weft was a pale pink alternating with a deep wine. Edit: woven turned taquete. The scarf is hanging down the stairwell and the camera is pointing upwards and the pattern shows but not much echo. But its a very wearable scarf in a subtle way. I like subtle! 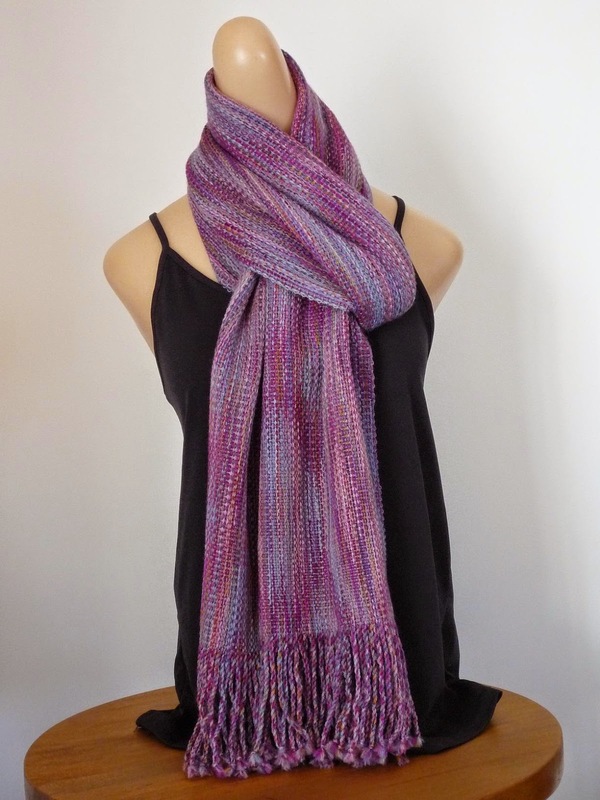 When the scarf is unfurled you can really see the lovely pattern movement in all it's glory! Love it!